It is evident that we are in the midst of the worst financial crisis in at least a generation! 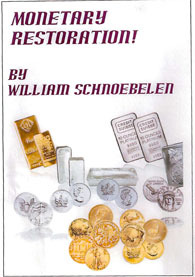 From his standpoint as a former Illuminati insider, Bill Schnoebelen takes a look at how we got into this mess - how the Illumined Ones and the bankers (often the same people) have manipulated our economy at least for 95 years to bring us to this place. He also offers Biblical solutions to these attacks on our economy. This is possibly the most challenging, important (and mind-blowing) teaching that Bill has done since MEDICAL CONSPIRACY! He shows why we do not need reform! We need restoration through Biblical economic principles. He also unveils the satanic strongman behind this crisis and how to set your family free from its clutches!